Tonight is one of those nights where I am weary, and a little bit broken. I have had a long few months of juggling kids, family, finances, work, friends and not much fun. Last month my husband went off to participate in a competition that we were hoping would be the start of a new season of our lives and one we have put off for a long time. There was prophetic words, there was financial blessing. There was a HUGE opportunity and then. NOTHING. I have been training. Cleaning and de-cluttering and preparing in every way imaginable to try and prepare for this season. We have halved the number of our belongings in case God opens up an opportunity for us to pick up and go somewhere else. I am even doing a course in discipleship so I am ready, come what may. But - I have got nothing. For over a year, probably close to 2, I have been keenly aware that we have had little direction. For over 4 years we have had little hope. For most of that time we have been floating almost alone in a sea of child rearing and trying to keep our heads above water in every way. We went on an across Australia trip this time last year. It was a way to have a holiday on the way to a friend's wedding. It was great. We were SO blessed with provision for that trip too. We were covered. But I was also hoping that through all that time spent sitting in a car, and all the stops we made in all the different places, that somewhere along the way, we might stumble upon our divine purpose and place where we were meant to be. A place to call home and a people to love and care for. Perth has been great for us, but I am also ready for something outside of the 4 walls that are the South-East Metropolitan area. It is like the Shire, once you are here, you never leave. But we don't have nice beaches and a thriving real estate market. We have hard work and snakes. I am tired and I have my well-earned 7 year itch. I know, I am sounding like a pathetic millenial whinger. Like I get to dictate what direction my life goes in, right!? I have heard all these prophetic words for people, and I hear how God SO has a place carved out for each one of us. I hear how once you hit that vein of life, you are set! Filled up, inspired, and you are replenished with everything you give out. While I feel much more filled, cared for and loved than I did last year, I still find myself in this place. Physically and emotionally. What am I doing here? I know that we can never underestimate the small differences we make in the people's lives around us, but some days I wish I was just living for me. Able to just pack a bag and jump on a plane, and go take that internship with Williams F1 team that I saw advertised on LinkedIN today. But then I think... I have 3 little people I am trying to raise to be amazing world changers. And while you won't see the fruit of all that for a few years, it is still my current, all consumming project. So then I try to find my husband something that he can not only dream, but something that he can grab onto and go do. Top of the list, of course, is to be a professional racing car driver. Something I know he is more than capable of, as proven last month. But if God knows best and he is always looking out for our best interests, I know that he is doing something there that I can't see. He always is. But I hate the waiting. So I browse. I try to make new dreams, even if the old ones aren't finished being cooked yet. I know that this verse doesn't mean that if we don't have some big vision plan we are going to melt away. But I am feeling like that right now! I can't find something that will give me and my husband and our family direction. 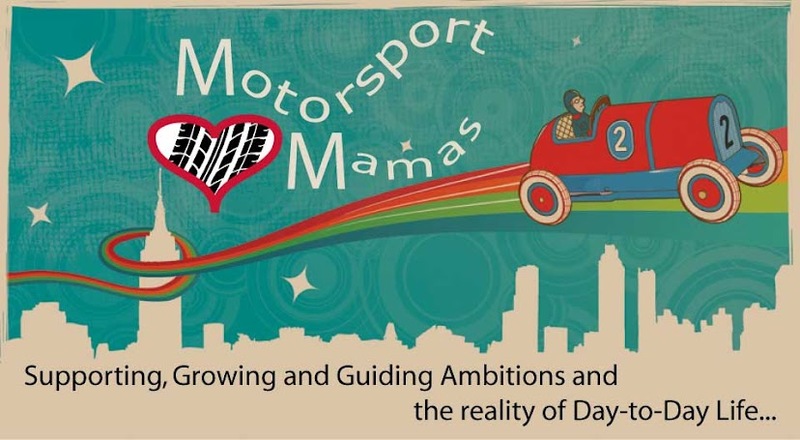 Are we meant to even be still pursuing motorsport dreams for ourselves or even our kids!? God. Can you please bring some clarity here!? I have SO SO much to be thankful for. I really do. So why so downcast, oh my soul!? Because I haven't got what I wanted and was hoping and praying for too. I also don't have anything in it's place. Just more of the same. So here I am. I feel that this is a modern Psalm. I have had my whinge, now as I pack up and get ready for bed, I realise that the parting words I must leave are the God is good, all the time. And all the time, God is good. I am so blessed and I need to hang on. He will come through for me. He is taking care of me. He is here with me right now. His promises are sure. I will never really be disappointed.